Journal therapy, also referred to as journal writing therapy or simply writing therapy, involves the therapeutic use of journaling exercises and prompts to bring about awareness and improve mental health conditions as a result of inner and outer conflicts. According to the Center for Journal Therapy, it is the “the purposeful and intentional use of reflective writing to further mental, physical, emotional, and spiritual health and wellness.” Though there are few professionals who specialize solely in journal therapy, many psychotherapists incorporate therapeutic journal writing into their treatment. What Is the Difference between Journal Therapy and Keeping a Journal? How Does Journal Therapy Work? Journal therapy originated in the 1960s with psychologist Dr. Ira Progoff's Intensive Journal method. With his developments, the therapeutic potential of journal writing moved into public view. Prior to this, the main function of journal writing was to record events and experiences from a narrative point of view. Keeping a diary, though most likely beneficial to its author, was not seen a therapeutic process. One of the major differences between keeping a journal and journal therapy is the way internal experiences, thoughts, and feelings are captured. Journal therapy allows a person to write down, dialogue with, and analyze their issues and concerns. Therapeutic journal writing and journal therapy use writing prompts and exercises to support the work of therapy. The practice allows people to be reflective, introspective, and intentional about their writing. Journal therapy is primarily used with people in therapy to increase awareness and insight, promote change and growth, and further develop their sense of self. Through various writing prompts and activities, a journal therapist will guide a person in treatment toward his or her goals. The act of writing things down often relieves tension and can bring clarity to the issue at hand. Although journal writing can be used in unlimited ways, there are some general processes that most therapists use. 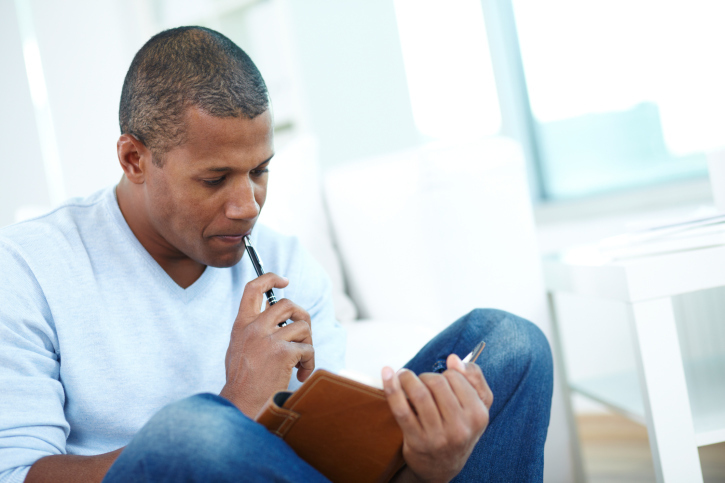 A therapist might request that the person in therapy begin each session with a writing exercise to declare his or her intention for the session or to hone in on present concerns. A therapist might use journal writing as a mode of communication between the person in therapy and therapist, taking advantage of the extra layer of safety writing provides. At the conclusion of the session, the therapist may assign the person in therapy homework that can be processed in the next session. Letter Writing: A person in therapy is prompted to write a letter to someone about various issues he or she is experiencing. People can choose to write to anyone, including people they know, parts of themselves, or someone they have lost. For example, an individual might write a letter to a deceased parent to tell them what he or she is going through. Timed Journal Entries: This is a good technique to use with those who have difficulty focusing their thoughts. The therapist and person in therapy decide on a general topic and then the person in therapy has a brief allotment of time, usually 5–10 minutes, to write about it. List of 100: The therapist asks the person in therapy to list 100 items that relate to a chosen theme or topic. This process will most likely result in the repetition of certain items or patterns that the therapist and individual will review and discuss. Examples of list prompts include 100 Things that Make Me Sad, 100 Reasons to Wake Up in the Morning, 100 Things I Love, or 100 Things I Want To Do With My Life. Dialogue: In this technique, the therapist and person in therapy will first choose two positions, parts, or viewpoints within the person in therapy or from external sources. The person in therapy will then write a dialogue between these two entities. This process can increase awareness about a psychological struggle or supply alternative perspectives about it. For example, the therapist might suggest the person in therapy construct a conversation between his or her child self and his or her future self. Therapeutic journal writing has become a popular self-help tool. Additionally, many therapists assign journal writing prompts for homework. Listed below are some tips on how to include therapeutic journal writing into your self-care routine. Ensure your privacy: Keep your journal materials in a safe place. Return to what you have written: Save everything you write, when appropriate, and review it often. The process of going back to what you have written can not only spark inspiration for future writing, but can offer perspective on how far you have come. Time yourself: Using timed writing exercises can help you avoid writer’s block and help you tap into relevant unconscious material. Write freely: Hush your inner critic and ignore the urge to edit your work. Therapeutic journal writing is not meant to be pretty or grammatically correct; it is meant to be real. Be honest with yourself: Honor your thoughts, feelings, and experiences with the authenticity they deserve. More work gets accomplished when you are your genuine self in your writing. Although many therapists and people in therapy report that journal therapy and therapeutic journal writing are effective, there are a few limitations to the practice. First, journal therapy may not be effective with people who experience cognitive or intellectual challenges. Knowing how to read and write is a must for this type of therapy. Second, some studies indicate that writing about traumatic experiences may exacerbate symptoms. Third, according to that same research, not all people report positive progress from working through trauma using therapeutic journal writing. Lastly, it is important to monitor how people in therapy are responding to journal therapy techniques and to look out for behavioral or emotional symptoms of perseveration, rumination, or obsessive-compulsiveness in their writing. These patterns of behavior can actually contribute to issues rather than improve them. Being creative is part of human nature and journal writing has long been a major mode of expression and creativity. Research has demonstrated the therapeutic efficacy of journal therapy for both physical and mental health. According to an article in the American Psychological Association’s Monitor on Psychology, studies "suggest that writing about emotions and stress can boost immune functioning in patients with such illnesses as HIV/AIDS, asthma and arthritis.” Furthermore, according to researchers at the Dana-Farber Cancer Institute and Harvard Medical School, therapeutic journal writing can improve the mental and physical health in cancer patients. Finally, an article published in BJPsych Advances states that journal therapy and therapeutic writing are beneficial for treating severe trauma, body image problems, and grief and loss issues. Camilleri, V. A. (2007). Healing the Inner City Child. London, England: Jessica Kingsley Publishers. Thompson, K. (2010). Therapeutic Journal Writing: An Introduction for Professionals. London, England: Jessica Kingsley Publishers.